What’s the first thing potential clients see when they visit your website? So it better be nice. You want your branding to reflect who you are and what your firm is about. In a rush or clueless about logo design? Check out my top pick for getting a great logo designer at a decent price, 99Designs, by clicking here. A logo is, in layman’s terms, how you present your law firm or business’s name. See that thing up at the top of this site that says “SparkSOLO”? That’s my logo. Usually, your logo is going to be a combination of text (your law firm’s name) and some kind of image or iconography (the pixelated “Z” in my logo, for example). 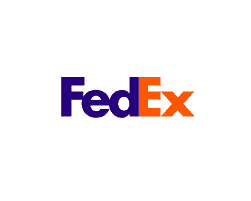 But some of those logos I pasted above don’t even need words – they’re instantly recognizable without them. This kind of impact is what we’re looking for. Consistently using your logo across your branding will keep this image in your clients’ minds and increase that connection between your logo and your business (and the goodwill that you’re building up by doing a great job). Ideally, you want your logo to be instantly recognizable, both as a law firm, and as YOUR law firm. In this post, I’ll detail many of the considerations that you need to keep in mind when designing a logo for a law firm. Next, let’s take a look at the different logo styles and how to choose what’s right for your firm. 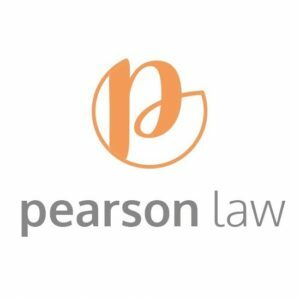 Different logo styles – which is right for your law firm? Across the vast spectrum of all businesses, and law firms in particular, there are a few main approaches to logo styling that are used. Each carries with it certain connotations about your firm and how you approach practicing law. Properly using these styles in your logo can help instantly communicate these things to your client (remember the “Appropriate” factor and how a great logo tells the viewer what you’re all about?). For better or worse, the legal profession is a venerable and often haughty one. For many practitioners, they enjoy this hallowed tradition of legal practice and wish to convey their membership in that tradition across their branding. Note the lack of serifs (those lines on the tips of the letters) and the change from a diamond separator on the logo to a straight line. Also, look at the coloring – they’ve moved away from the blue color into white and orange. It feels more “modern,” doesn’t it? If you’re not much of a traditionalist, you may be more interested in a more “modern” logo for your law firm. 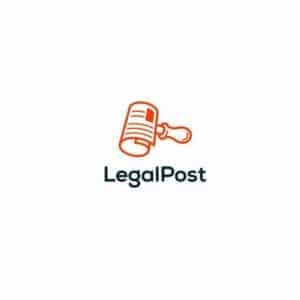 A modern logo design is more appropriate for a firm that’s looking to highlight their connection to technology or just to differentiate themselves from “older,” more traditional law firms and law practice. If you have a focus on virtual law practice, on tech or other modern types of law, or just want to project an image that’s fresher, a modern look for your law firm logo may be more appropriate. As you can see, these modern styled logos really set these firms apart from more traditional ones. 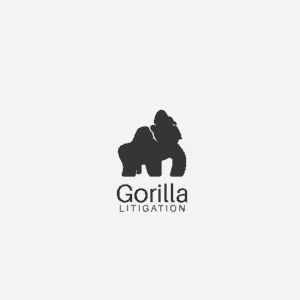 If that’s the kind of vibe you’re looking for, it’s worth pushing for a modern law firm logo design for your firm. Hopefully you’re starting to get some ideas percolating in your brain. Don’t choose a font that’s goofy or hard to read – stay away from Comic Sans and any novelty or script-based fonts. You want it instantly legible. If you’re designing your logo yourself, it’s important to keep all of these things in mind. Any good graphic designer will know them inherently, though, especially if they have logo design experience. So, with all of this new knowledge under your belt, how exactly do you go about getting a logo for your law firm? When you get into the “how” of law firm logo design, there are a few main options. Some are good, some are bad, of course. But what you ultimately choose is probably going to be a function of your budget. I’ve recommended here that you shouldn’t bother with a fancy logo when you first set up your law firm. However, some nice branding is definitely high on the list for when money starts coming in. For those who have both no graphic design experience and no budget for getting a logo, logo maker services are probably where you need to go. These apps, like the one at Logomakr.com, allow you to use simple online tools to put together a simple logo. For the bare bones branding when you first open your firm, this is a perfectly fine option. They even have clip art that’s either free or paid (for a very small fee), which you can use to make your logo unique with some relevant iconography. I’ve used Logomakr for other sites of mine, and it’s been a good experience when the business isn’t quite in the position for a real graphic designer, but still needs something to make the top of your website pop. 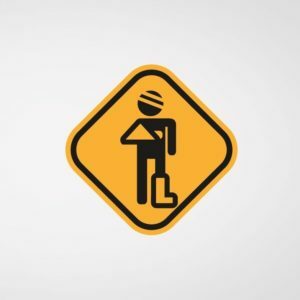 If you have familiarity with tools like Adobe Illustrator or Photoshop, you probably have what it takes to mock up a simple logo for your firm. There are tons of resources online for color combinations and logo styles, which you can use as inspiration (but don’t directly copy). Still, though, unless you’re a designer, it’s going to be tough to get a logo that is professional. I know – I did a few iterations of logos that were serviceable, but were nowhere near where I wanted to be. Heck, the logo at the top of this site was something I whipped up in Photoshop myself! Serviceable for now, but it is definitely high on my list for replacement when the site starts making money. The “gig economy” is a buzzword that describes the latest trend in freelance work – sites that have users who offer “gigs,” which are small services that they offer to anyone willing to pay. One of these “gig” sites is Fiverr, a gig marketplace where many of the services start at just $5. If you’re totally clueless about logo design and want something to put up on your site for little money, Fiverr is an option. That being said, having used it for logos in the past, it isn’t a great option. While many of the designers there have great portfolio pieces, often the actual work product you receive pales in comparison. “You get what you pay for” has never been more relevant. Many of them have upsells to higher-cost packages, but you’re still coming in around $50 or less. This isn’t the kind of money you’d be paying for even a decent logo design, let alone something that’s really professional. However, if your budget is on the “very low” side, Fiverr is a great option for getting something not completely terrible that you can put on your site until the income allows for more. If you’re ready for the next level above something like Fiverr, one really great service with a unique twist is 99Designs. You set up a “design contest” based on your specific design goals, and a number of designers around the globe will compete to get to the next round. Each will submit logo designs for contention, and you choose a small number to move on. You can even have friends and family vote on which ones they like the most, which is super helpful to avoid any tunnel vision or favoritism you might have. There are different levels, and different packages that you can order. The different levels give you increasingly large contests, as more and better designers compete for the higher priced prize. Packages feature any number of options, from just a single logo design to a full branding package or website landing page. I used 99Designs for my own site logo and for my upcoming client-focused YouTube channel logo. The experience was great fun each time. For each logo contest, I had something like 150 total logo submissions to choose from. In the end, I was very happy with what I got. You can read more about 99Designs and the options available by checking out their site here (affiliate link to support the site). The priciest way to get a logo, which will often lead to the best and most personalized results, is to hire a graphic designer or agency directly. In this way, you’re in complete control of the goals and the work. However, it’s going to be the most expensive route. If you’re prepared to pay and want to have someone work directly with you to get the logo and branding correct, this is the way to go. One great way is to search through a site like Behance for various designers’ portfolios and contact them directly. You can see a gallery of great logo design here. Another way is to search on a site like Upwork, where you can post a gig for designers around the world. While this may seem a bit like the Fiverr site above, I find that a lot of the work on Upwork is better quality and you can search specific geographic areas and budgets. While not perfect, Upwork avoids the “race to the bottom” seen on Fiverr and can produce great quality work. I’ve used the site in the past for hiring content writers and had a great experience. You may also be able to reach out to your network (particularly anyone who has a great logo) and see how they got theirs! Referrals to great graphic designers are an excellent way to find someone capable and professional to design your law firm branding. Sign up for the newsletter to get my free 5-lesson email course sent right to your inbox, and be the first to hear about my new courses, blog posts, and other goodies.